The sun is shining, and the outdoor fun is in high gear. Suddenly, they see each other. They all stop; one wags his tail while the others smile and reach out. 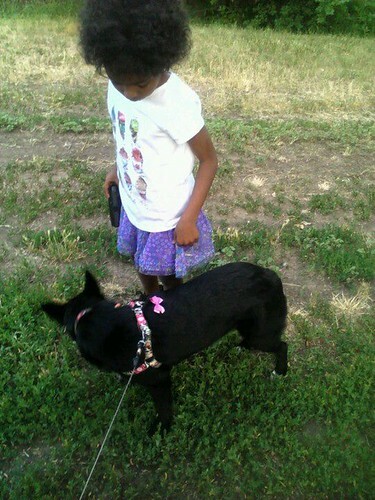 Watching your children approach an unfamiliar dog puts you on high alert. Fortunately, these close encounters of the kid and canine usually end with wet noses and happy faces. These chance meetings aren’t as worrisome when you know how to keep your children safe around dogs. If you have a four-legged family member, you know how much fun it is to watch your kids play with the dog. You can tell when the little ones are too wound up, and you know when Rover’s too tired to fetch. You’re reading their body language. Many times little children get bad dog bites because they were never taught how to read a dog’s body language. If a dog bites your child you need to get professional advice, whether it is from a local police officer or from a personal injury lawyer San Bernardino residents would use. To protect your children, teach them the body language of dogs. Dogs are pretty straight forward, so take your children to a safe place and have them just watch and learn. A dog expresses everything with his body. When that happy tail is up high and wagging wide, a dog is expressing interest; he’s ready to go. The same tail tells it all with a slow, easy wag that says he’s mellow but willing. A straight, stiff tail is a warning that the dog is on alert and feels threatened. A lowered head and deep growl are also signs that the dog is wary. Your children don’t seem dangerous to you, but they can seem threatening to a strange dog, and he may feel the need to protect himself. Kids are naturally trusting. When your little ones meet a new dog, they don’t understand the risks. They see a soft, furry pal, and they’re immediately drawn to this new friend. The dog is curious, but when children rush up with arms extended, he feels threatened. This isn’t because he’s a bad dog. He doesn’t bite because he’s made a judgment call, he’s reacting to a perceived danger. Children are vulnerable because of their size. Their little faces are at a level that puts them in the direct line of fire when a dog bites. A sharp nip to the nose is a mother dog’s way of disciplining her pup. The dog retains this instinct, and the results can be tragic. Understand that your children’s natural friendliness and curiosity can put them in harm’s way. It’s easy to explain a dog’s body language to your kids. When you’re together at the park or on a walk, keep an eye out for different breeds, and ask your little ones to read the dogs’ tails. Explain that this is important because a dog without a friendly tail might bite. Ask your children how they would feel if a stranger rushed up to them and ruffled their hair or grabbed their ears. Kids can understand that sudden moves and loud shouts frighten a dog because those things startle them too. You don’t want to teach fear; you do want to teach respect and understanding. If you have a new puppy at home, these lessons will benefit your little ones and the latest addition to your family. Dogs operate on instinct, and fortunately their overriding need is to be loved. In this sense, you, your children and every dog are very much alike. Teach your little ones to be aware, but also teach them to care. The sweet interaction between child and dog is heartwarming. It’s even more enjoyable when you know that your little ones are safe. Kelly Kovacic is a freelance writer and paralegal who regularly posts on topics relating law, health and safety issues. If you need a personal injury lawyer San Bernardino firm Milligan, Beswick, Levine & Knox LLP has experienced lawyers who represent clients that have been victims of dog bites. The laws in California recognize strict liability relating to dog bites, therefore, even if a dog has never bitten someone before his owners are held responsible.